Should I chant a Mantra Out Loud or Silently? 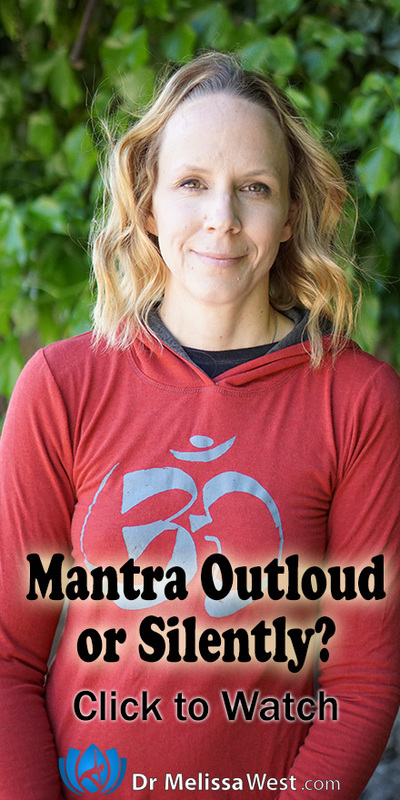 Mantra Out Loud or Silently? 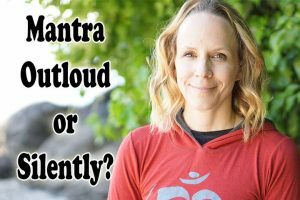 When it comes to mantra should that be an internal chant where you repeat the phrase in your head or could it be vocalised? I felt like the sound helped me to tune into the vibration of energy somehow. As I mentioned in Namaste Yoga 331 on meditation, meditation is a practice of concentration and focus. Usually the object of concentration is your breath. Why is the object of attention and focus your breath? Because you don’t have to believe in anything to meditate on your breath. You also don’t have to reject any beliefs to focus on your breath. You can pay attention for the sake of cultivating your steadfastness of attention. With mantra, the sounds are the object of attention. You can chant the sounds out loud or internally. When you chant the mantra internally, the “inner sound” becomes the object of attention for your meditation. When you chant the mantra out loud, the sound of the mantra becomes the focus of your attention. However you may also focus on the effects of the sound vibrations in your body, your breathing and the feeling of the mantra in your mouth, lips and tongue. When you mantra is sounded aloud it is known as Vaikhari Japa. Saying the mantra aloud is said to help attune yourself to the pronunciation of the mantra as well as calm your mind. It is helpful when you are distracted and allows you to come back to the energy of the sounds. This is said to be a good way to begin with mantra. When your mantra is whispered or hummed it is known as Upamsu Japa. When you whisper or hum, it is not heard by anyone. This method is said to require a deeper level of concentration and is supposed to be 1, 000 times more powerful than Vaikhari. It is said to bring peace and harmony within yourself. When you say your mantra silently to yourself mentally, it is called Manasika Japa. This form of repetition is said to require a great level of focus and attention to keep your mind pointed on your mantra. It is said to be 100, 000 times more effective than Vaikhari. If you would like to experience and learn more about mantra, you may be interested in my Healing with Mantra 4-Week Online Course, available for a limited time.